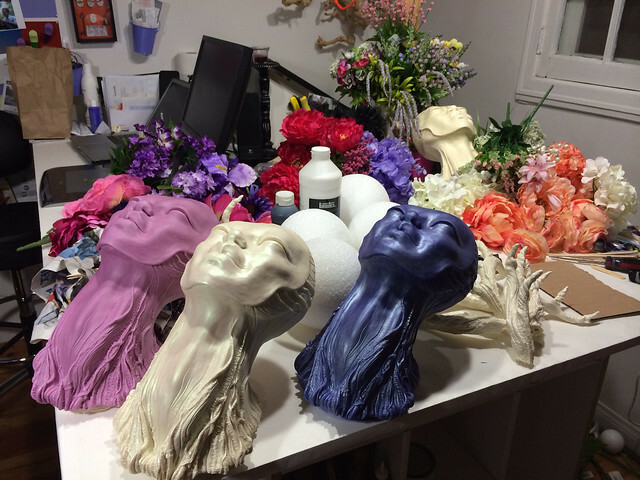 Process Photos for “Spring From Death” Sisters! 1.) To share my process because I love to see others share theirs. Seeing process is what got me believing I could do this in the first place. 2.) To show that my casting does not mean “mass production”. Each piece is still unique, and unlike any other. Resin casting will make these pieces less fragile, more archival, capture higher detail, and allow me to use materials closer to my concepts of these characters. 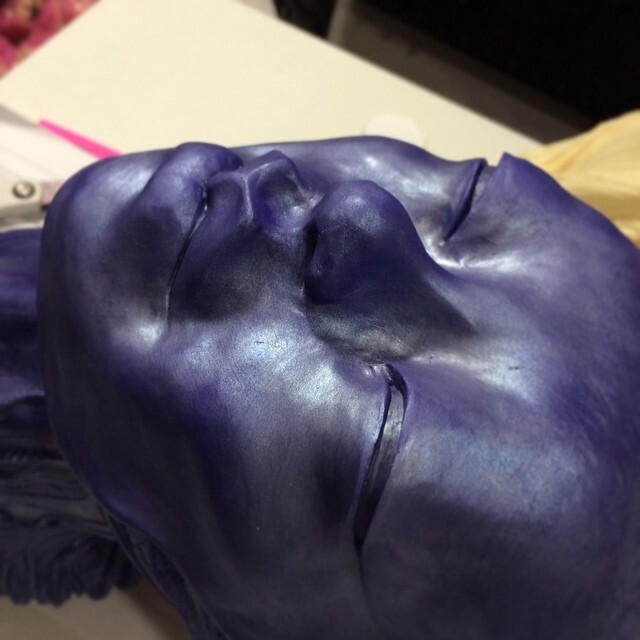 This is different from sculpting each one individually with clay, though that will still happen from time to time when the concept and materials call for it. I don’t make a ton of these, and I don’t make the same one twice. If you want to know when new Muertitas are available for purchase, you can sign up for my mailing list here. 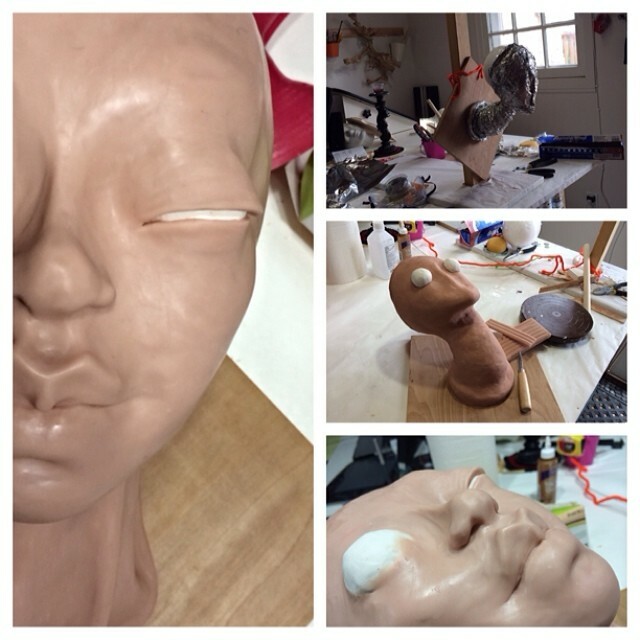 To show you the start of Momma Muertita #2, you can see my hilarious foil, wire, and baked eyeballs as my base! 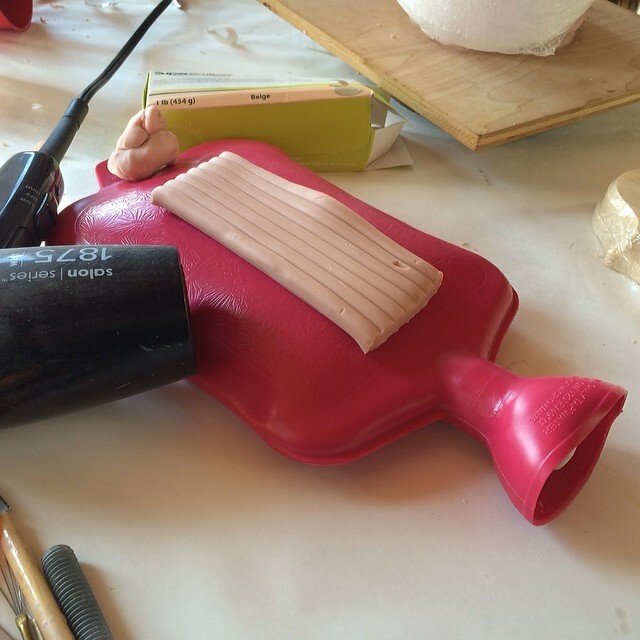 Super-sculpey warms to body temperature to become soft and workable. However, if you have cold hands like me, you are gonna have a hard time. My husband devised this excellent way of keeping my sculpey warm and ready for my chilly, industrious fingers. 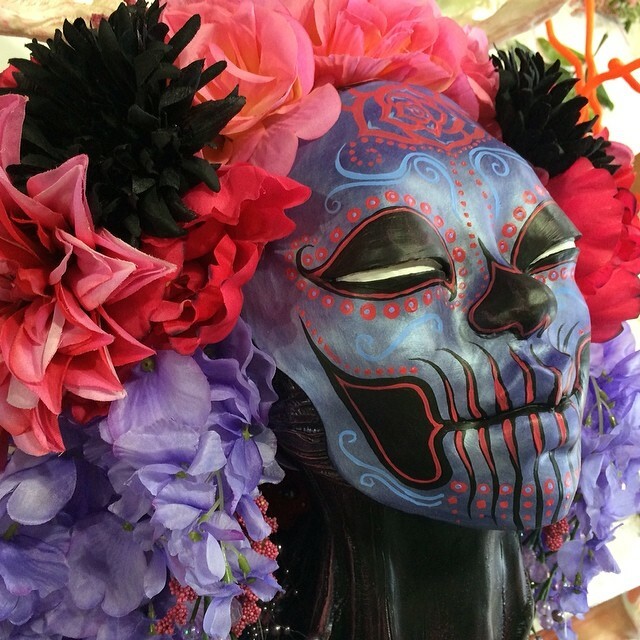 Close-up of some of the detailing I am able to do now that I’m making Momma Muertita #2 out of Super-sculpey. My past ladies were individually crafted out of air-drying clay, which made them very fragile, and not take this kind of detail as well. True, it takes me much longer to make her look like this, but if I can get a good mold going, I might be able to get a few daughters looking mighty spiffy! 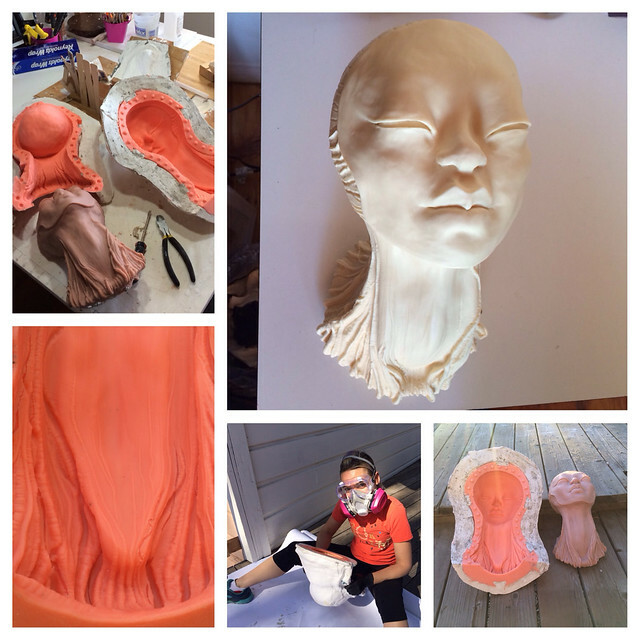 Setting up the mold for casting my Muertitas with the talented special effect guru, Brian Blair. Check out those “key” holes around my antlers. This better work this time. Please oh please! 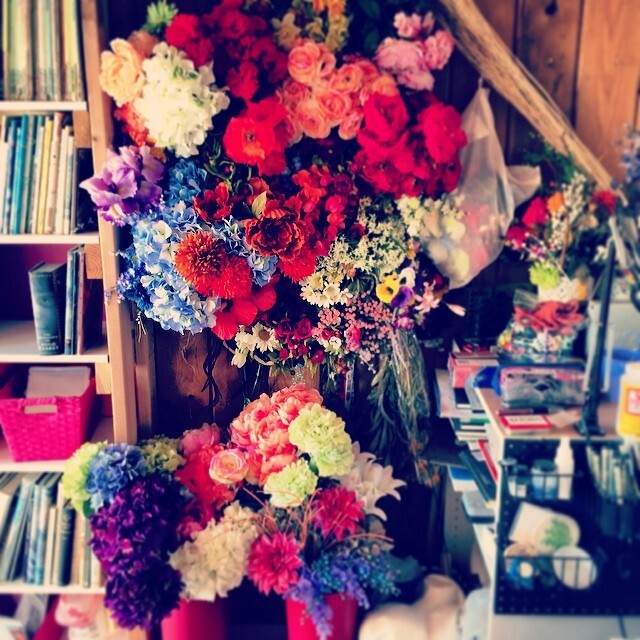 Went shopping and stocked up on flowers for my ladies! 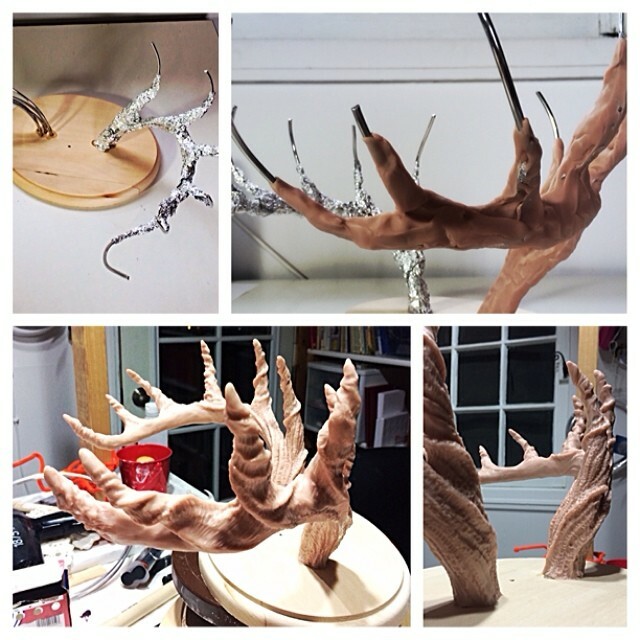 Just need to finish my mold, cast them successfully, and decorate! Head boards arrived! 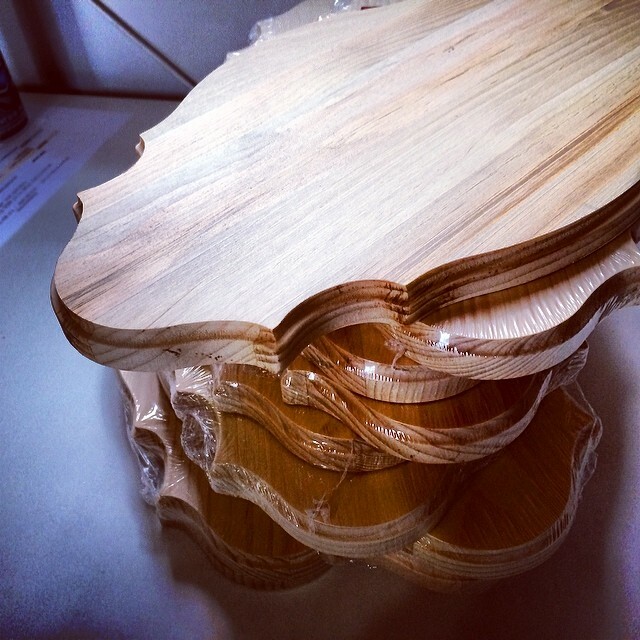 Just need stain and to mount the heads…once the paint is applied. Who needs a workout when you can build those arms with a slush mold? I hand tumble a thick layer or two on there, pack in some air at select locations to limit weight, then solid cast the rest. SUCCESS! The mold works! The joy! I sat cradling this firstborn for a while before I continued my next steps. I have to treasure the wins. So many thanks to Brian Blair for showing me the molding ropes and saving me even more trial and error. After a few tests, I got to my final goal for these ladies: custom color mixing the resin itself by adding dyes and mixes of iridescent powders. This creates a basecoat that will peek through my acrylic paints and add a dewey iridescence where the paint is thinned. I LOVE mixing custom colors for my resins! I get such satisfaction from this step. It creates such a great base-coat and adds richness to my paint layers. Time to dremel and smooth out edges and seams. No good lightning yet in the outdoor shed, but at least the pulverized resin only gets on me out there. Besides, headlamps are cool … ish … Well…PRACTICAL. 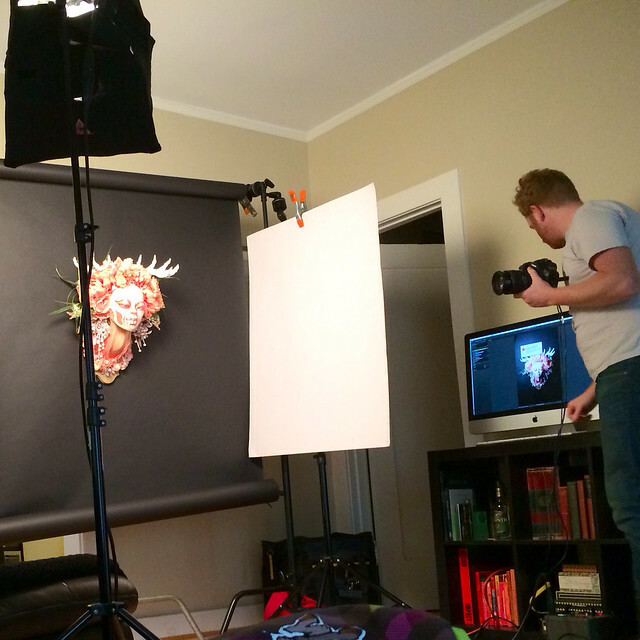 Time for hair, makeup, sealant, and mounting on wood. Transport, set-up, hang out and photoshoot with the amazing Chris Rigg. Special thanks goes to Matthew J. Levin (sculpy mastah) and Brian Blair (casting guru) for their patience and time while my noobness spilled out. Oh, and of course, thank you Internet for the vast knowledge shared upon your bandwidth. May your loa be strong. Also, a big thanks to Miss Monster. 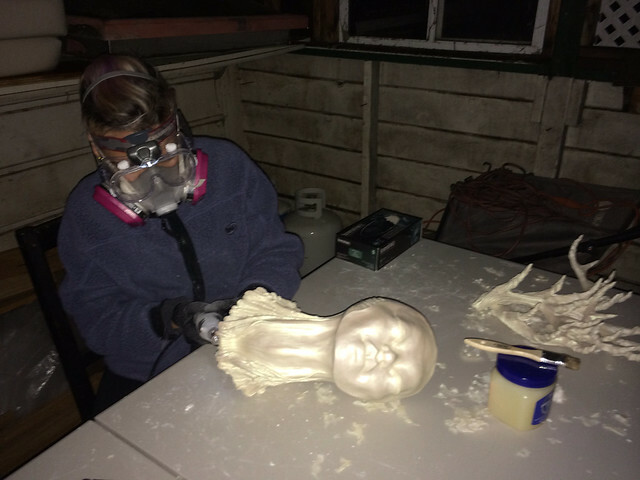 She doesn’t know who I am, but her process posts made the craft of sculpting and mold making feel like an adventure I wanted to be on. Plus her creations are faaaaaaaantastic! Obligatory cute kitty share. 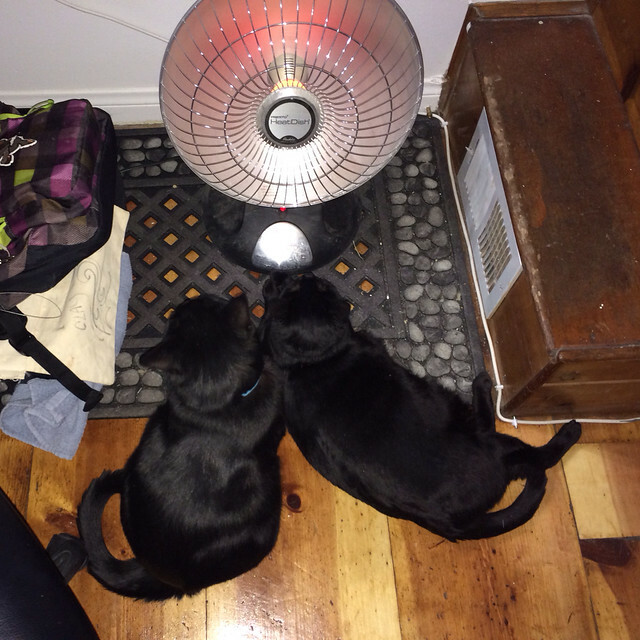 I turn the floor heater on when working into the wee hours of the morning, and the kitties join me. Nocturnal friends FTW.